OfficialiPhoneUnlock is a UK company claiming they can unlock carrier-locked iPhones. People were making fun of Apple Pay in Japan because we’ve been using NFC (near field communication) technology there in cell phones and payment cards of all kinds for two decades now. 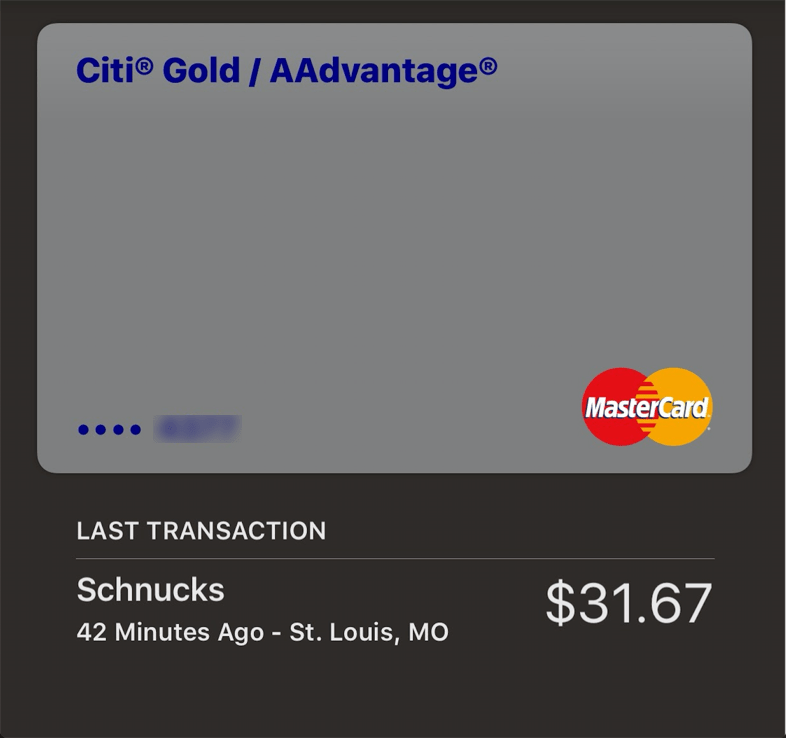 I’ve been using Apple Pay here in the U.S. during my trip and I have to say, while Apple did not, in fact, invent NFC they have made the experience much better and safer than anything I’ve experienced in Japan. First, the overall experience is better. In Japan you typically have to wait until the cashier finishes and presses some button, at which point the NFC terminal is activated and you can then touch your card to it (except for the trains and buses, where it’s very easy to use by just touching your wallet to the gate). At the stores here with Apple Pay terminals, all I need to do is hold my iPhone near the terminal, I can select an alternate card other than my default card if I want, but other than that I just use the fingerprint sensor on my iPhone 6 Plus and it is ready to go. Meanwhile the cashier can still be adding things to the purchase and there is no wait. But the most important thing is the extra security. The NFC cards I have in Japan can basically be used by anyone who finds a lost wallet with my cards. There is no real security. Instead the cards have limited balances, which is the only real protection you have. But with Apple Pay, your fingerprint is required for each purchase. So if your iPhone is lost or stolen it can’t be used for Apple Pay purchase. It’s probably safer than using credit cards directly because the card number itself is not stored in the iPhone. And, as everyone knows, a lost credit card can easily be used by someone else. I hope Apple Pay comes to Japan. It wouldn’t be very convenient for daily public transportation use – the existing Japan system works better for that. But for store purchases it seems better. The screenshot shows a recent purchase! And the same “Wallet” also contains flight boarding passes. 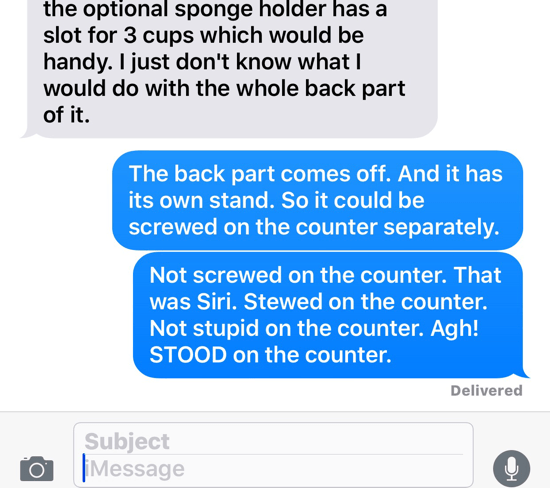 I was texting with my friend, Sue from Bed Bath and Beyond while shopping for a dish drainer for her. Siri was not being cooperative. 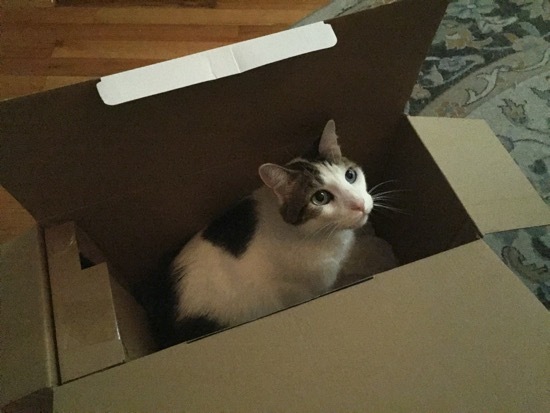 Squeak liked the box the drainer came in though.